Jennfier Fugo teaches gluten free living. 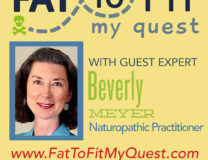 She’s been on Dr. Oz and CNN, teaches classes via the web, and blogs and podcasts too! 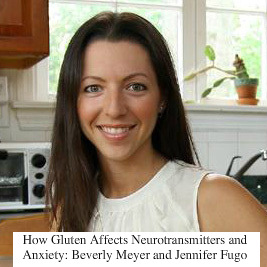 She asked me on her show to talk about anxiety, gluten and the neurotransmitters. In my clinical experience, every person I have tested with an expanded gluten antibody profile has shown some level of gluten sensitivity. 100%! This means you! Is there a connection between gluten and the brain? How does that work? Could your anxiety symptoms be related to gluten? Could “depression” be helped with gluten free foods? Jennifer and I talk about GABA, Serotonin, supplements for anxiety, anxiety symptoms, easy gluten free cooking, and a lot more about neurotransmitters and health. 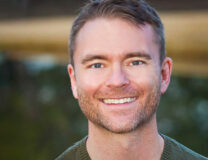 Listen from the link on my website or from iTunes, and check out what GlutenFreeSchool offers. When you click on this link to Jennifer’s website, you can read a written transcript of the show too. (It’s full of catchy errors as most transcripts are, but you’ll get most of it). Enjoy and please share this link!